Unwind is an out-call spa service committed to helping people feel good. We create unique spa parties & private sessions focused on Physical & Spiritual Balance. Our In-Home & Office Spa Services will have you, guests, loved ones or co-workers feeling better than you thought possible. Unwind Mobile Massage & Spa is made up of professionally trained Massage Therapists & other Spa Specialists who cater to each of our client’s individual needs. The Unwind team combines divine instinct with natural talent so that you may receive bodywork made specifically for you. Our goal is to help people feel good. We believe that receiving regular bodywork in a safe & nurturing environment enhances ones ability to heal in body, mind, and spirit. When it comes to relaxation, we take it one step further by bringing our services to you. We design each session to your needs whether it be a spa party in your living room, a manicure party at your office, an individual in-home massage or a corporate wellness program. Self-care is important to us so you name the date and we’ll be there. Unwind Mobile Massage & Spa services many communities throughout the Greater Los Angeles Area so please contact us to see if your location is within our service area. 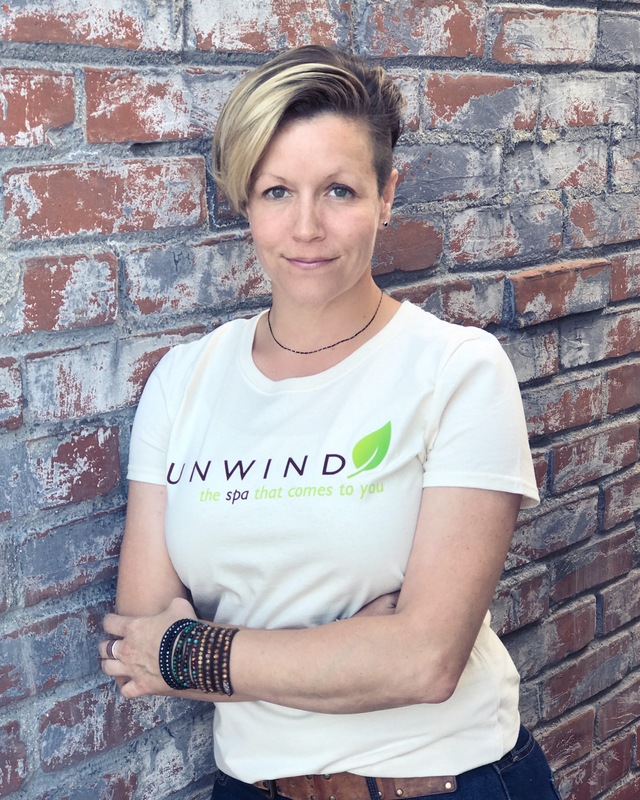 Monica Kenyon is the owner and founder of Unwind Mobile Massage & Spa. She initially found her calling when, at the age of ten she experienced the gift of helping family and friends through massage and the healing that comes with human touch. However, this gift wouldn’t be explored until years later while working in production on film sets in Los Angeles. It was then that she realized her true passion in life is helping others through bodywork. After 10 years as an assistant director working on feature films, commercials, and music videos, she began taking classes at the Institute of Psycho-Structural Balancing (IPSB) in Culver City where she completed over one thousand hours of education. In 2003 she began her mobile healing business, and over the past fourteen years, her clients have included TV/ Film celebrities, tri-athletes, Doctors, high-powered professionals, individuals in comas, the elderly, children and cancer patients. Testimonies to her skills are listed here from these clients who have all benefited tremendously from Monica’s gift. Today, Monica focuses on assisting others cultivate physical & spiritual balance through individual & group sessions.